Learn the true meaning of yoga. Develop your personal practice. Our most popular offering. Learn authentic yoga and teach the world. 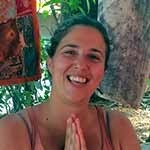 Custom yoga teacher trainings based on your unique past and future goals. We are currently offering trainings and drop-in classes in Gokarna. Come see why Om Beach is the best place to develop your yoga practice. 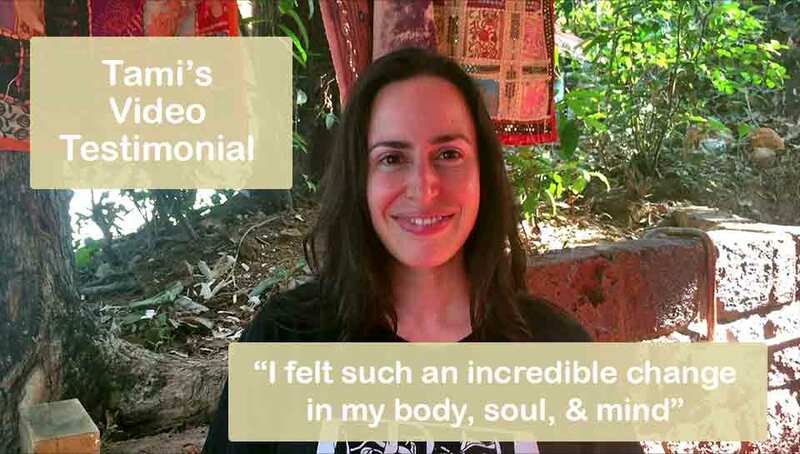 At Shanti Yoga School we are honored to offer you authentic experiences. Through ancient yogic techniques we aid your transformation into your best self. We are simply reflecting the light in you. It is our pleasure to serve. Namaste. "I've been pushed further than I've gone before." 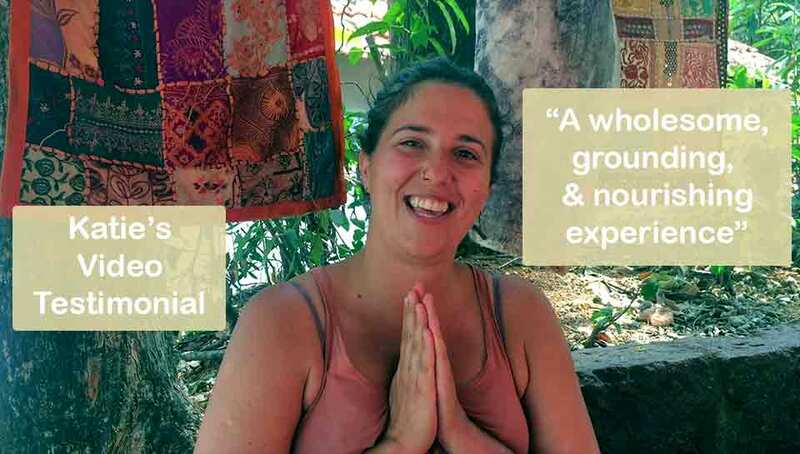 What makes Shanti Yoga Teacher Training different? 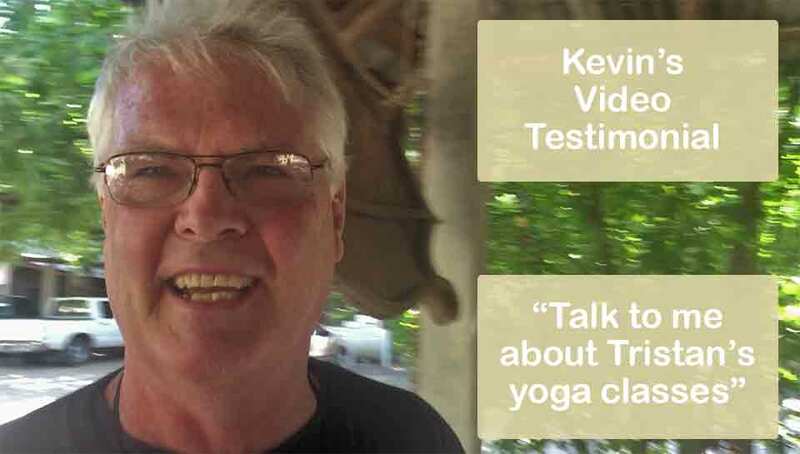 “I’ve attended many yoga classes, events, teachings, and trainings. I’ve learned from the best and know what works and what doesn’t. I know what it takes to create life-changing experiences because I’ve lived them first-hand. I promise to constantly learn more so I can always improve the Shanti Yoga School program. Do you want a life-changing experience? Learn more about yoga teacher training. Too intense, or don’t have that much time? Look into yoga retreats or attend a drop-in class. Can’t travel to us? Stream our workout videos or take an e-course. Want to get to know us better? Read our story, Meet our teachers, view the blog, or watch testimonials. Why choose the 200-hour yoga teacher training with Shanti Yoga School? You will take the world’s most popular and versatile physical yoga asana classes: hatha, vinyasa flow, yin, and restorative. In addition you will be introduced to many ancient, often not taught, techniques to help you in the future: joint exercises, kriya (cleansing techniques), and Ayurveda – a school of ancient Indian medicine & yogas’ sister science. 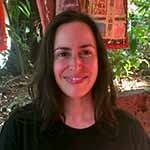 Shanti Yoga offers donation-based yoga teacher training. There is a registration fee that covers the out-of-pocket costs for holding the training. The fee includes private accommodation (1 person per room). To keep costs low students are responsible for their own food. Once the small registration fee is paid the yoga teacher training is provided. We do not expect additional payment, although students are encouraged to donate at the end of the program. Students who choose to donate are rewarded with additional future perks. 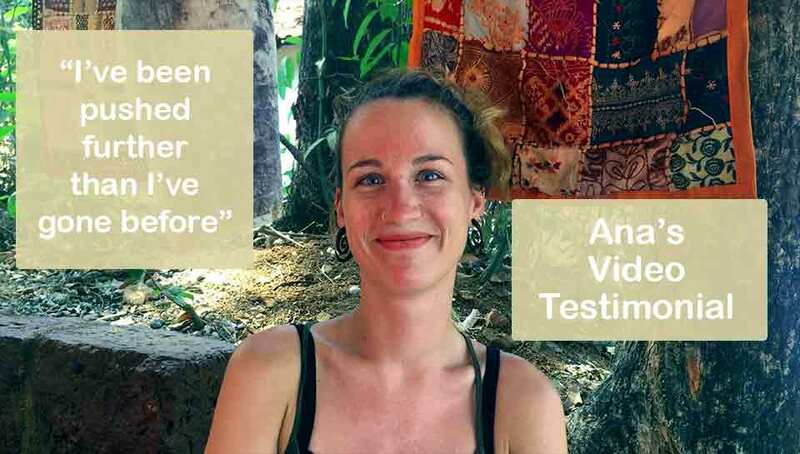 Shanti Yoga supports locals in numerous ways. Shanti Yoga supports the communities where we teach by purchasing local products whenever possible. At least 10% of profits per season are spent on local initiatives that benefit the community. Finally, we emphasize hiring locals whenever possible, which provides a necessary source of income. We believe in giving back to our students in as many ways as we can. One student per training attends completely free via scholarship. Application must be approved and truly based on need. We offer a donation-based yoga teacher training course where the only charge to you is for covering the school’s expenses. If there’s need and aptitude we hire students to help with drop-ins and other tasks needed at the school. This provides valuable hands-on practice and experience. We utilize our numerous yogi contacts across the world to help our students in their future yoga careers, if they choose to pursue teaching. Finally, for students who join our repeat program they’re allowed to attend the same training as many times as they like in the future for free. They just have to pay for their own meals and accommodations. Wow! Are the yoga teacher training programs certified, and what are the benefits? Our yoga teacher training program is certified by Yoga Alliance at the 100 and 200 hour levels. We work with students on a 1×1 basis to custom-tailor programs for the 300 and 500 levels so they not only satisfy the Yoga Alliance criteria but also make sense given the students’ past training, current circumstances, and future needs. Yoga Alliance is recognized internationally as the go-to standard. Some gyms, studios, or clients may require you to be certified by Yoga Alliance. Even if you choose not to teach after the program – who knows where the universe will lead you? It’s better to have the certificate than not, even if you do not use it. The training itself will be worthwhile on its own. The certificate is just extra. And who knows? Maybe later you’ll feel a calling to teach and will be glad you have that certificate after all. Where is Shanti Yoga School Located? We have numerous locations throughout India to offer our students the best this beautiful country has to offer. – Craving the ocean? Come to Om Beach near Gokarna from October through early April. – Where are we May through September? (Maybe USA – maybe Rishikesh!) The location changes yearly as we scout perfect locations with amazing weather and spiritual vibes. You can always contact us to ask about the locations we’re considering or make a suggestion. India is not only the birthplace of yoga. It’s also a spiritual country filled with beautiful people. Those who come to India are not just traveling the external world. They’re also searching for something within themselves. Come see all that India has to offer you. What are yoga classes like during a yoga teacher training? Right before class starts we offer tea and fruit. It’s the perfect way to fuel up for class. This ensures you’re not too hungry or too full for yoga. Often overlooked, Shanti Yoga starts every class in the morning with a quick joint warmup. This warmup for the joints wakes up the body and prepares our students for the day. Your joint health is important. Sometimes our joints hold us back from progressing in our yoga asana practice. After warm-up we do about 40-60 minutes of calisthenics – aka body weight exercises. These will not be too strenuous. Our program is designed to be comfortable for your current physicality while at the same time challenging enough for you to grow stronger – safely and effectively. Following exercise we practice yoga asana. Starting with a few rounds of Surya Namaskar, we follow-up with a series of postures based on what we’re learning that day. We dive really deep into each pose – learning common limitations, adjustments, benefits, and counter-indications. After learning a basic set of yoga postures our asana classes transition. One day we might learn a Vinyasa Flow. If we notice our students are tired and sore we might offer Yin/Restorative yoga classes. Other days we might learn variations of poses. Unlike some schools that require two asana classes per day we find it best to have a longer session in the morning and use the rest of the day to relax & recover. This reduces chance of injury. Lastly, our program is constantly being tweaked based on student feedback to be the best it can be. Tristan Cox is the lead instructor. He has been practicing yoga for more than half a decade – since 2012. His motto is “yoga every day”. And he lives this motto by practicing daily. That might mean he has time for one pose. More often than not he indulges in juicy 2 or even 3-hour sessions. After working in corporate America for ten years he started a journey of self-discovery. 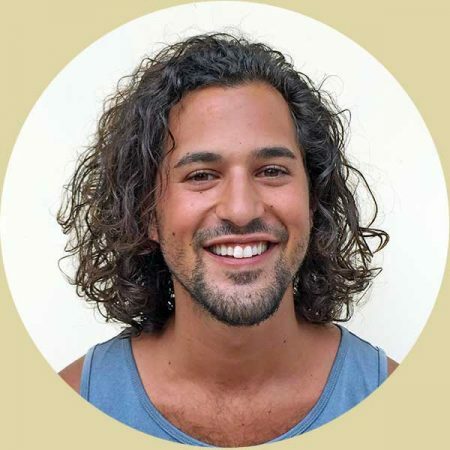 This led him to yoga, healing, and service. He is certified in the classical Sivananda yoga lineage as of 2015. He taught yoga by donation in Ajijic, Mexico. And, he taught at an amazing resort in El Salvador on two different occasions as a volunteer. In 2017 he went to India for six months to deepen his personal yoga practice. He used this time to study classic texts such as the Bhagavad Gita and Light on Life by Iyengar, among others. He was also given the opportunity to teach students in Mumbai, Jaipur, and Gokarna. His teaching style blends classical and modern yoga. When he is not teaching Sivananda’s “perfect practice” class, he teaches Vinyasa, Hatha, Yin, and Restorative. He often custom-tailors each class based on the unique blend of attendees. He takes the time to get to know each student. Everybody gets something valuable out of his classes. He believes in helping people identify their true values. He believes in living a more authentic life. He wants to share what he found. 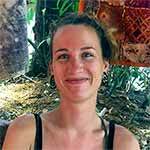 Shanti Yoga also hires qualified teachers who are experts in their respective fields. We do not hire without testing our teachers prior to introducing them to our students. Further, we put as much emphasis on their people-skills as we do their subject knowledge. After all, it’s hard to learn from someone you don’t like personally. What do you learn during lecture? During Yoga Teacher Training we dedicate two hours every day to lecture. Yoga is a science, not a religion. Yoga is spiritual, but it should be experienced and practiced. We do not simply memorize facts. What you learn during a teacher training should be immediately applicable to your personal practice and to your teaching.